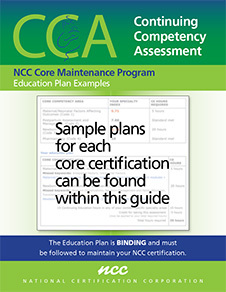 NCC has now modified access to the assessment to allow those who maintain early to take the assessment up to 3 months prior to the start of their new maintenance cycle date. 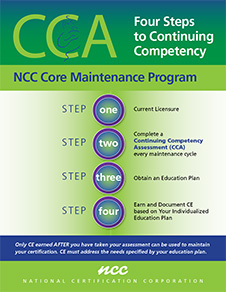 The start day for earning CE remains at the first day of the new maintenance cycle. Education Plan Examples & What that Means!